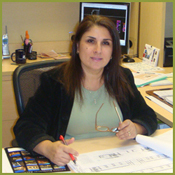 Mrs. Taraneh Moosavi is the Owner and Principal Architect of Moosavi Design Group, Inc. and she leads our team with excellent communication skills. She has an in-depth understanding of each project’s special needs of codes and regulations and she has worked closely with municipal reviewing agencies. Taraneh is a Registered Architect licensed in Arizona, Finland and Iran. She has over 25 years of professional experience in the architectural field and holds a Bachelor's Degree in Architecture and Urban Planning. She is an active member of the American Institute of Architects (AIA). She has extensive experience in Project Design, Management and Construction Administration, and has been responsible for various Industrial, Infrastructure, Health care, Commercial and Residential related projects. Our Client’s first expectation is accuracy, punctuality, and strength to which she always delivers upon and continues to do so. Her ability to create, cultivate and successfully complete any project has always been praised by our customers. Mrs. Moosavi has high goals set for our team and always challenges the team to expand their experience with a variety of projects. Mr. Moosavi is the Founder of Moosavi Design Group, Inc. He has over 25 years of diverse international experience in Master Site planning, architectural design and production management, with involvement in major projects from inception to conclusion. These include a variety of projects such as Healthcare facilities, Hospitals, Surgery Centers, Corporate Business Offices, Mega Retail Centers, Industrial, Hospitality, Institutional and custom Residential projects. Mr. Moosavi holds a Master of Architecture and Urban Planning degree. He is a Registered Architect licensed in Arizona and is an active Member of the American Institute of Architects (AIA). Having spent almost seventeen years as a senior key affiliate in International Architectural Firms in Iran, Finland, California, and Arizona, he has an accomplished expertise in various specialties. Mr. Moosavi established his office in Arizona in 2001, and has since then designed numerous projects. Most of these buildings have either been completed or are under construction. Rauf Moosavi has an in depth understanding of the special needs of each project’s codes and regulations, construction budgets, and administration. He is instrumental in advancing the project and cultivating effective information and knowledge flow between clients, investors, consulting engineers, and general contractors. Mr. Moosavi is committed to meet and exceed the clients’ expectations. Mr. Mike Apostolos is a Registered Architect licensed in Arizona and Colorado, and is a member of the American Institute of Architects. He has been involved in various aspects of the design and construction industry for over 30 years. His experience includes Owner-Principal, Senior Project Manager, Project Architect, Director of Construction Services, and Co-Director of Interior Architecture responsible for multiple projects, client contact, business development, construction administration, project and construction management, and the development of architectural designs into construction documents. Mike has been responsible for quality assurance/quality control reviews, programming, schematic design layouts, construction systems and building materials selection, code analysis, due diligence reports, ADA compliant reviews, technical specification writing, technical details and reviews of building systems/components, proposal writing, and design consultation. Mike’s experience on a diversity of projects enables him to work with all types of groups in the design and construction industry and develop timely and reasonable solutions to problems that arise throughout all phases of projects. Mr. Apostolos’ close work with municipal reviewing agencies has earned him the ability to amicably resolve issues, so as not to cause project delays. His commitment to building and strengthening client relationships, along with the successful completion of projects is the primary goal of his many years of hard work and dedication. 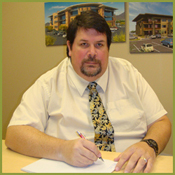 Mr. Tom Thliveris has 18 Years experience in the Arizona Dept of Health Services (ADHS) as Lead Architect. He is an active member of the American Institute of Architects (AIA) and National Council of Architectural Registration Boards (NCARB). Tom is a registered architect in both the States of Arizona and Utah. He graduated from MIT (Massachusetts Institute of Technology) with a Bachelor’s degree in Architecture. During his career with ADHS, he has been in charge of various major licensure compliance projects such as All-Arizona Health Care and Child Care Projects, Mayo Clinic Hospital, Scottsdale Healthcare Hospitals, University Medical Center and Hospital, Tucson Yavapai Regional Medical Center Hospitals, Northwest Medical Center Hospitals, St Joseph Hospital, Phoenix Valley View Medical, Phoenix Children’s Hospital, Havasu Medical Center and Banner Hospitals. 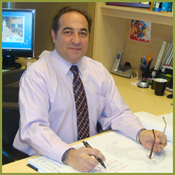 Prior to working with Arizona Dept of Health Services, Mr. Thliveris was involved with numerous varieties of architectural projects such as Phoenix Civic Plaza, Wells Fargo Headquarters, First National Bank of Arizona Headquarter, Hyatt Regency Hotel, Tahoe Seasons Resort, Hotel Riyadh, Saudi Arabia, Weber State University Science Building and Lecture Hall at Ogden, Utah. Mr. Thliveris is a major contributor to International Building Codes and Standards (IBC), State of Arizona Administrative Code, National Fire Codes (NFC), and AIA Guidelines for Design and Construction of Health Care Facilities (2006 edition). Mr. Tom Thliveris is known as the Signature Consultant for Health Care Projects. Mr. Michael Schubert is a Registered Architect licensed in Arizona and Wisconsin, and is also a LEED Accredited Professional. He has been involved in various institutional and educational projects in the past 26 years, in which his duties have included design, document preparation, and construction administration. During his career, his experience has included being an Owner-Principal, a Senior Project Manager, a Project Architect, a Principle Architect, and a Construction Administrator responsible for multiple projects, and multiple clients. Michael has been responsible for programming, schematic design layouts, construction documents and building materials selection, code analysis, ADA compliant reviews, technical specification writing, technical details and reviews of building systems/components, permitting and construction administration. Michael's experience on multiple projects enables him to work with all types of clients, consultants, and contractors in the design and construction industry and develop solutions to problems that arise throughout all phases of projects. Mr. Schubert has worked closely with municipal reviewing agencies, and has demonstrated the ability to amicably resolve issues, so as not to cause project delays. His commitment to creating, cultivating, and strengthening client relationships, along with the successful completion of many project types is the primary goal of his many years of hard work and dedication. Mr. Charley Carlat has over 11 years of architectural visualization experience in 3D and 4D design, advanced modeling extensions, and rendering. He also graduated with a Bachelor’s degree in digital animation at UACT in Phoenix, Arizona. Charley's knowledge in virtual reality and parametric model building rendering enables us to effectively communicate our designs in creating a real life vision for our clients in a variety of sophisticated ways. As an artist, designer and graphics specialist, his creativity and fresh ideas are a major help during the preliminary design process. Mr. Carlat is dedicated to continue research and study on development of new methods for point of view animation, walk-through, and fly-bys.